Clint graduated from Farmington High School in 1993 and headed off to Texas Tech University to get an engineering degree never imaging the right opportunity would allow him to return to the beautiful Four Corner’s Region. After college graduation, Clint worked in technical sales and operations for several large construction products manufacturers in the underground utilities and concrete product site development industries. 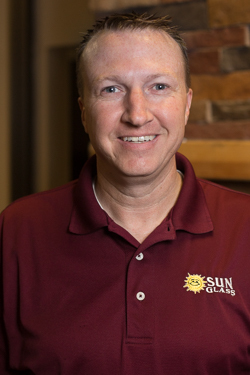 In 2007, Clint returned to Farmington in the role of operations manager for Sun Glass. Clint loves building teams and working with the amazingly talented Sun Glass Family as they faithfully serve the Region.